Hurray! WhatsApp Added Four New Features Again! 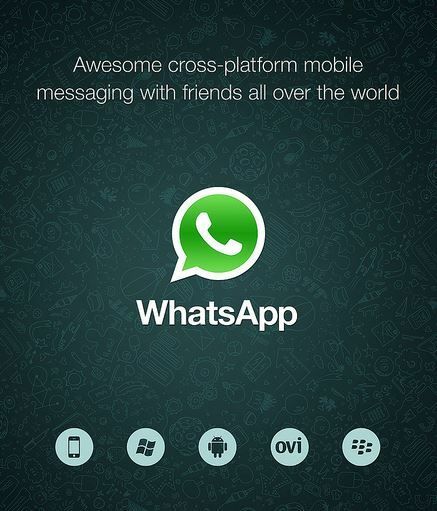 WhatsApp is known to offer surprises by totting up with stunning and useful features every time. The company itself has announced the news about adding some cool features yet again and all of them are going to be rocking. Stability with iPhone Xs and iPhone Xr. – The preceding UI compatibility issues are rectified, and now the larger display of these devices has received more constancy plus it supports iOS v2.18.100. It is favourable for the newly launched iPhones. Redesigned Bubble Menu – The older version of the bubble menu got the latest interface with longer tap and option like Reply, Forward Delete, Copy, Paste, Star, etc. have been added. Along with this, now there is no need to tap on the audio message when received endlessly; as it will get played by itself. This feature will surely make messaging more rapid. Status gets more reply options – In the previous update status have been added, however there were limited reply options, but now the feature got an extended version wherein the voice messages, vCards, locations, documents can be used for replying. Video previews – This mode has not come in action yet, but it has been added. In the current version the notification of image, Gif along with text was accessible, but now you will get the previews of the videos itself in the notification menu. So, there is no need to stay for the message to get opened and then enjoy the videos. This particular feature will get activated in the forthcoming days. WhatsApp has always lived as per the expectation of its users, and the same goes this time concerning the features it has launched. There are apprehensions that some more features will be added in coming days apart from the four mentioned above. These new features are being loved by the users worldwide and were also the need of the hour. Plus it has made the use of application more smooth and easy.